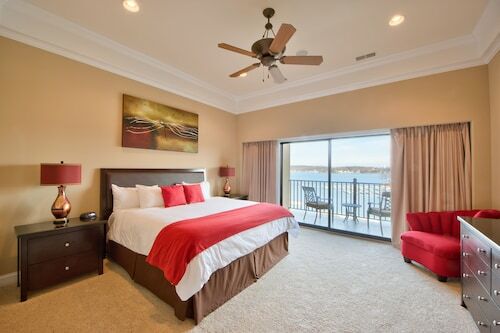 Located in Lake Ozark, this beachfront resort is connected to the convention center, 0.1 mi (0.1 km) from Horseshoebend, and within 9 mi (15 km) of Bear Creek Valley Golf Club and Osage National Golf Club. Bagnell Dam and Osage Beach Premium Outlets are also within 9 mi (15 km). 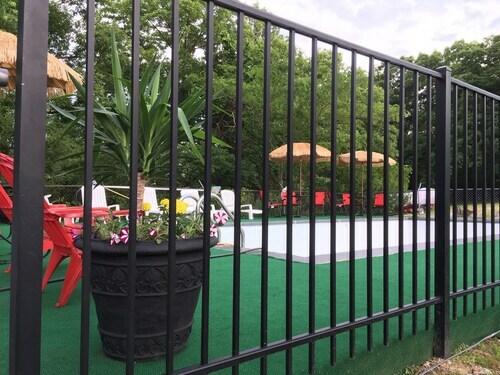 This family-friendly Osage Beach resort is located near the beach, 7.5 mi (12.1 km) from Osage Beach Premium Outlets, and within 16 mi (25 km) of Ozarks Amphitheater and Bagnell Dam. Bridal Cave and Lake of the Ozarks are also within 25 mi (40 km). Situated in Lake Ozark, this hotel is 0.1 mi (0.1 km) from Horseshoebend and within 9 mi (15 km) of Bagnell Dam and Osage National Golf Club. Bear Creek Valley Golf Club and Osage Beach Premium Outlets are also within 9 mi (15 km). 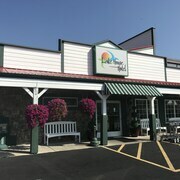 Located in the heart of Osage Beach, this hotel is 0.5 mi (0.8 km) from Osage Beach Premium Outlets and 2.6 mi (4.1 km) from Bear Creek Valley Golf Club. Sycamore Creek Golf Club and Bridal Cave are also within 20 mi (32 km). Situated in Camdenton, this motel is 2.7 mi (4.4 km) from Ha Ha Tonka State Park and 2.7 mi (4.4 km) from Lake Valley Golf & Country Club. Ozarks Amphitheater and Bridal Cave are also within 6 mi (10 km). 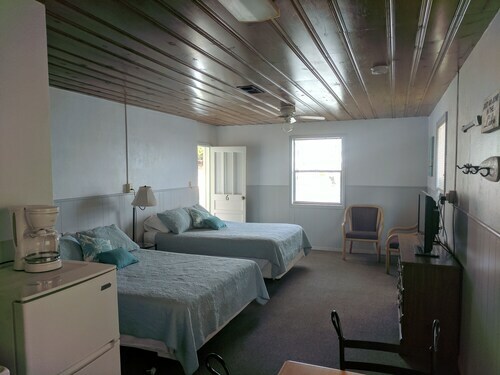 Located in the heart of Gravois Mills, this motel is 4.6 mi (7.4 km) from Horseshoebend and 12.1 mi (19.5 km) from Lake of the Ozarks. Jacob's Cave and Ozarks Amphitheater are also within 20 mi (32 km). 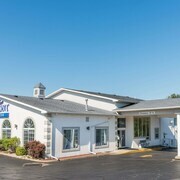 Situated in Osage Beach, this hotel is 1.6 mi (2.6 km) from Sycamore Creek Golf Club and within 6 mi (10 km) of BigSurf Waterpark and Osage Beach Premium Outlets. Bear Creek Valley Golf Club and Osage National Golf Club are also within 12 mi (20 km). Situated on the waterfront, this spa resort is within 12 mi (20 km) of Bagnell Dam, Osage National Golf Club, and Osage Beach Premium Outlets. Sycamore Creek Golf Club and Ha Ha Tonka State Park are also within 32 mi (52 km). How Much is a Hotel Room in Osage Beach? 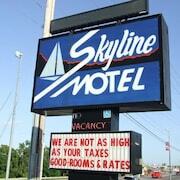 Hotels in Osage Beach start at $53 per night. Prices and availability subject to change. Additional terms may apply. 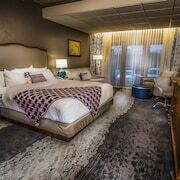 If you don't know where to start planning your Central Missouri break, relax, because there's a range of great hotel possibilities in Osage Beach. Inside our resourceful database, you will love finding 24 rooms within a 6-mile (10-kilometer) radius of the center of town. 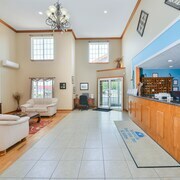 Travelocity customers know that one of the keys to smooth travel is the wisdom to choose your location carefully, so be sure to check out the Holiday Inn Express Osage Beach - Lake Of The Ozarks and Days Inn Osage Beach Lake of the Ozarks, each of which can be found a short distance of Osage Beach's downtown area. 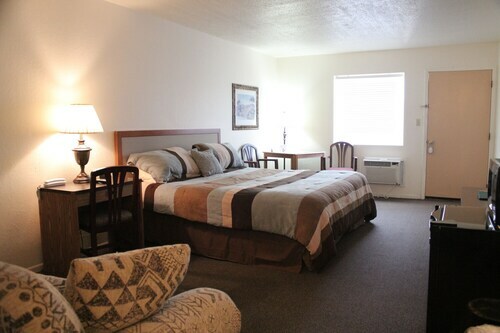 If you are coming to Osage Beach, but have a budget to stick to and simply looking for deals on accommodation options, we have enough affordable lodgings to offer you Other lower-cost room options are the Econo Lodge Lake Of The Ozarks and the Americas Best Value Inn. You could investigate the Camden on the Lake Resort, Spa Yacht Club and the Lodge Of Four Seasons Golf Resort, Marina & Spa. 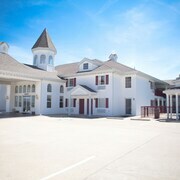 The Camden on the Lake Resort, Spa Yacht Club is 8 miles (12 kilometers) away from central Osage Beach. The Lodge Of Four Seasons Golf Resort, Marina & Spa, is positioned 4 miles (7 kilometers) away. 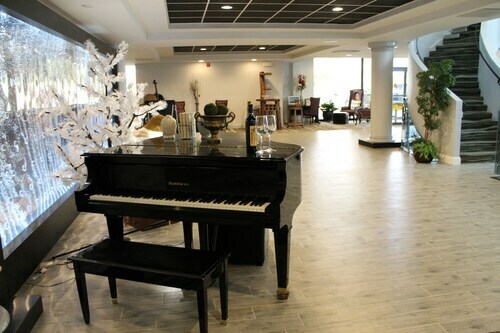 Another two hotel and apartment options worth checking out around Osage Beach are the Tan Tar A Resort and the Country Club Hotel And Spa. Do you want to travel a little further afield? Central Missouri has many impressive attractions worth checking out. Central Missouri is the home of rural landscapes, lakes and rolling hills. Frequented visitor sites are history museums. Modern travelers in this corner of United States of America adore hiking. Looking for more to do? You could spend a few hours discovering St Robert Museum and Hidden Valley Plaza, which can be found in St. Robert, 35 miles (56 kilometers) southeast of Osage Beach. 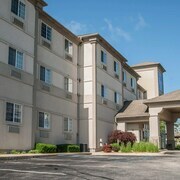 The Holiday Inn Express Hotel & Suites St. Robert and Fairfield Inn by Marriott Ft Leonard Wood are a handful of the convenient hotel and apartment options in St. Robert. 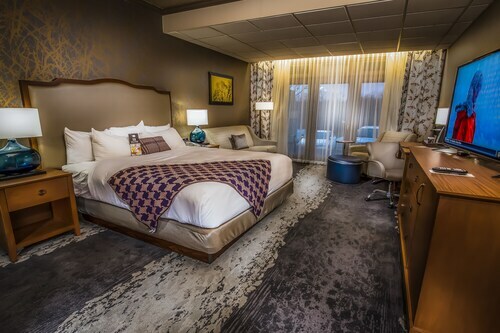 Alternatively, you could consider staying at Columbia, 60 miles (94 kilometers) north of Osage Beach, where you have the options of the The Broadway Columbia - a DoubleTree by Hilton Hotel and The Tiger Hotel. The Columbia College and University of Missouri are frequented attractions to experience for those visiting Columbia. Before you and your traveling partner head off to Osage Beach, make sure you take the time to explore Travelocity's Osage Beach city guide where you'll have the chance to get the inside scoop on the numerous things to do on offer. 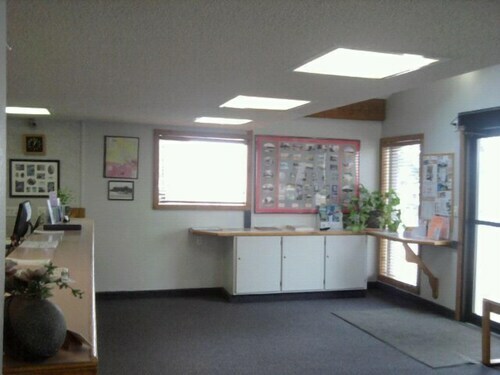 The room was clean and appeared to have been remodeled recently. For me, the biggest issue with my stay was the noise. I had a room near the elevator, and I could constantly hear people coming and going at all hours, closing doors, and talking in the hallway. I am a light sleeper away from home, so it was a long night. The hotel is close to some places to eat and was very easy to find. It was also easy to get back on the main highway when it was time to head home. The room was nice and spacious, perfect for a quick over night stay. Chris' hospitality was phenominal! Her breakfast menus are creative, not to mention delicious. The entire house exudes comfort, love, care, and ultimate peace. It was an awesome stay. Ecxellent accomodations. Enjoyed every aspect of my stay. Would HIGHLY recommend Kapikana to all who are interested. Hotels near Paradise Parasail Inc.